As the networks have recently moved on from adaptations of dark fairy tales to adaptations of concurrent ideas to adapt dark fairy tales, NBC is now prepping Wonderland—not to be confused with or sued by The CW's Wunderland, or Lionsgate's Alice In Wonderland, or ABC's Once Upon A Time with its Alice In Wonderland storylines, or especially Tim Burton's Alice In Wonderland, the success of which led us down the rabbit hole of this "dark fairy tale reimagining" trend in the first place, and made us never again want to hear the phrase "down the rabbit hole." 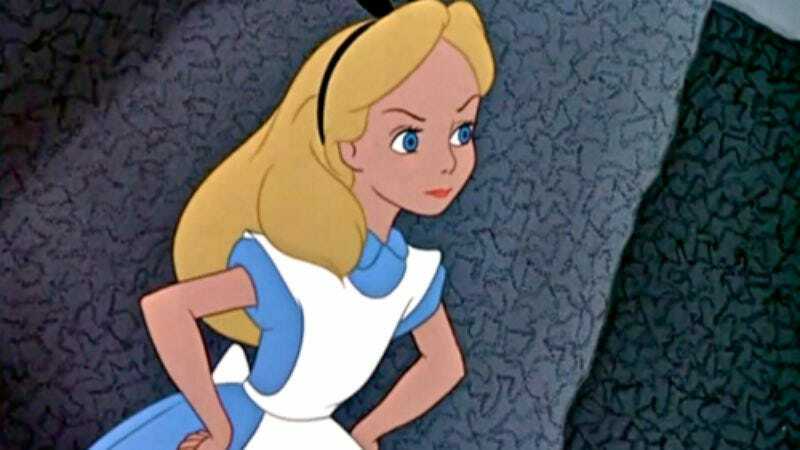 NBC's take on the increasingly well-worn Lewis Carroll story is billed as a sequel set several years after the events of the book, with Alice now installed as Wonderland's reigning Queen, and a new character named Clara challenging her rule. Though it's executive-produced by CSI creator Anthony Zuiker, Clara is not, as of press time, a cop, meaning this project is already doomed. Also, the show was written by Whit Anderson, who is once again being hailed as a "true visionary" for rewriting someone else's mythology, after her attempt at rebooting Buffy The Vampire Slayer without Joss Whedon. In other news, the word "visionary" died today, leaving behind no next of kin. Its legend is currently being rebooted as a show in which it plays a tough-talking detective.